Call of Duty: Advanced Warfare has become the fifth game in the franchise to take the UK’s Christmas number one spot. Strong sales of the PS4 version – which reportedly received a spot of extra promotion last week – helped Activision’s exo-suited and booted shooter to dethrone FIFA 15. GTA V took #1 in the individual format chart, so if you’ve read elsewhere that Take 2’s crime caper is the festive number one that’ll be why. We always go by the standard all-formats top 40. Call of Duty: Advanced Warfare topped the PS3 and Xbox One charts while FIFA 15 took #1 in the Xbox 360 top 40. GTA V meanwhile claimed top position in the PS4 chart. Going back to the all-formats, FIFA 15 fell to #2 while GTA V and Far Cry 4 remained at #3 and #4 respectively. Assassin’s Creed: Unity leapt from #10 to #5 due to price drops, with sales up 97%. At #6 it’s the return of The Crew, up from #11. Again, this was down to discounts – GAME cut the price to a mere £21.99 on Saturday as a one day deal. Destiny, Minecraft: Xbox Edition, Minecraft: PlayStation Edition and LEGO Batman 3 then finish off the festive top ten. The biggest riser of the week was Assassin’s Creed: Rogue, which went from #27 to #15. The biggest faller on the other hand was Halo: The Master Chief Collection which fell from #14 to #22. There were no new entries and just two re-entries – Alien: Isolation at #35 and LEGO The Hobbit at #39. Car windscreens aren’t the only thing feeling the wrath of winter – the UK top five is frozen too. A tenuous link, we know. This means FIFA 15 is the UK’s number one yet again. Last week saw it take the top spot for the first time in six weeks. Just for those who missed last week’s chart, EA’s soccer sim is then followed by Call of Duty: Advanced Warfare, GTA V, Far Cry 4 and LEGO Batman 3. The Crew entered at #6 last week. That’s now at #11. Just Dance 2015 and Destiny meanwhile re-enter the top ten at #6 and #9 respectively. Price cuts have seemingly helped WWE 2K15 and The Evil Within rise back up too; the former is up seven places to #12 while the latter twelve places to #16. It appears Nintendo’s latest paring of Pokemon are on the slippery slope down the top 40 as both have now departed the top 20. Disney Infinity 2.0 is on the descent too, falling all the way from #15 to #26. As for new entries, the retail version of Lara Croft and the Temple of Osiris made #17 in the PS4 chart while The Penguins of Madagascar entered at #24 in the Wii chart. Next Monday’s chart will reveal the UK’s Christmas number one. Unless GAME significantly cuts the prices of GTA V or Far Cry 4 later this week, expect either FIFA 15 or Call of Duty to take the annual festive crown. Never underestimate the power of a GAME price drop – that’s what helped Skyrim to become Christmas number one back in 2011. There’s no stopping FIFA – EA’s soccer sim has successfully managed to fend off another week’s worth of new releases. Specifically, The Evil Within, F1 2014 and Borderlands: The Pre-Sequel! Last week’s top trio did however all make the top 10. Available on formats new and old, The Evil Within did – rather unsurprisingly – perform the best out of the bunch. The new IP is in at #2, dislodging fellow survival horror Alien: Isolation. At #3 it’s Borderlands: The Pre-Sequel! Curiously, The Borderlands Collection has managed to re-enter the top 40 this week at #25. We’d wager that’s because it’s a mere £5 at Tesco currently. The brilliant Middle-Earth: Shadow of Mordor and Forza Horizon 2 shift down one place to #4 and #5. They’re then followed by Alien: Isolation, Destiny, DriveClub, Minecraft: PlayStation Edition and finally new arrival F1 2014 at #10. After just one week Skylanders Trap Team departs the top ten, falling from #7 to #11, while Super Smash Bros. on 3DS goes from #9 to #12. We’re mildly confident that both will be back in the run up to Xmas. Over in the single-format charts meanwhile we spy Falling Skies: The Game make #38 in the Xbox 360 chart while the sub-£15 Killer Instinct: Combo Breaker Pack makes #20 in the Xbox One chart. 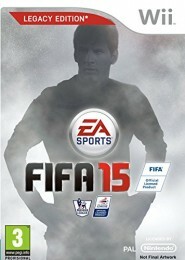 Last week’s trio of big name releases – Shadow of Mordor, Forza Horizon 2 and Super Smash Bros. – haven’t been able to dislodge FIFA 15 from the top of the UK chart. They have however all managed to make the UK top five. Middle-Earth: Shadow of Mordor, to use its full name, arrives at #2 with the PS4 version shifting the most copies. Then at #3 it’s Forza Horizon 2. Both the Xbox One and Xbox 360 versions managed to penetrate the individual format chart’s top ten, further proving that there’s still life in the Xbox 360. Super Smash Bros. on 3DS then follows behind at #4 with Destiny dropping from #2 to #5 to round off the UK’s top five for this week. As for the other recent Nintendo releases, Fantasy Life falls from #8 to #19 while Hyrule Warriors now rests at #22. The only other new entry in the top 40 is Crimes and Punishments: Sherlock Holmes which makes #27. Again, it’s the PS4 version that proved to be the most popular. Over in the single format charts, RPG curio Natural Doctrine made #5 in the PS Vita chart while platforming sequel Pac-Man and the Ghostly Adventures 2 broke the top #20s in the both the Xbox 360 chart the Wii U chart, entering at #20 and #17 respectively. As many may have predicted, Destiny’s reign of the UK top 40 has come to swift end. FIFA 15 has taken the top spot, accounting for 80% of all entertainment software units sold last week and a whopping 87% of revenue. You have Chart-Track to thank for those two eyebrow raising stats. It was the PS4 version that shifted the most copies, followed by Xbox 360, Xbox One and then PS3. Even the Wii version managed to make the individual formats chart, albeit at #23. The 3DS version was nowhere to be seen, however. Destiny now sits at #2. Disney Infinity 2.0 moves down to #3 while Minecraft: Xbox 360 Edition and Call of Duty: Ghosts move up a couple of places to fill #4 and #5 respectively. The only other new arrival in the top 40 is Nintendo’s Fantasy Life at #8. On a related note, Hyrule Warriors has left the top ten after just one week – Link’s latest now rests at #13. A mere five place drop – it could have been a lot worse. The Last of Us Remastered also departs the top ten this week, falling from #9 to #11. There’s a big game out this week. It’s got balls. That’s right – it’s time for the annual sport ball release again, as FIFA 15 is out this week. 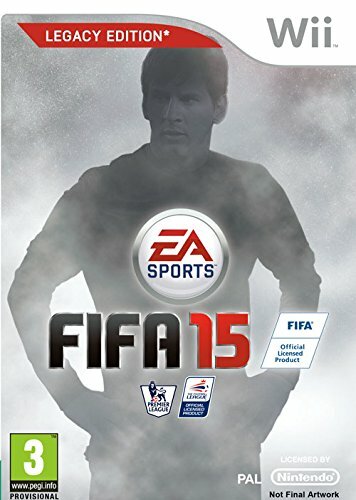 Fans of EA’s football series will be pleased to know that FIFA 15 is coming to practically every relevant games system – specifically PS4, PS3, Xbox One, Xbox 360, Wii, 3DS, PS Vita and PC. It seems EA have forgotten about the existence of the Wii U, but at least they remembered the old Wii, eh? Another interesting title out this week for 3DS is Fantasy Life, from Professor Layton (and Ni no Kuni) developers Level-5. 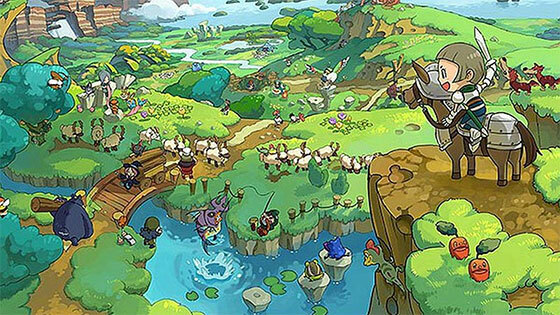 It’s kind of an RPG and Animal Crossing hybrid – in addition to killing monsters and questing, players can take up various professions and live a fantasy life (eh!) as a farmer, carpenter, cook or one of many other trades. It looks quite lovely. It’s actually quite a busy week on the 3DS release schedule – 2D robot battler Tenkai Knights: Brave Battle and Violetta: Rhythm and Music both come to the 3DS this week, the latter also appearing on Wii and DS. It’s almost like there’s some kind of consumer focused holiday period around the corner. Another game out this week is AR Nosurge: Ode To An Unborn Star on PS3. 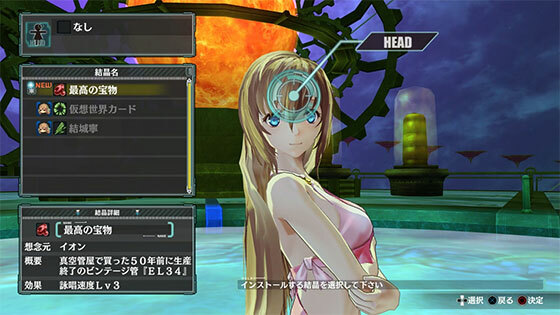 As you can see from the screenshot below, it features a bikini-clad girl with a head. It’s a Japanese role-playing game featuring inappropriately dressed girls and lots of battles. With a Metacritic score of 70% it’s apparently not too awful. You have our permission to get it if you want – we won’t judge. On the PSN, CastleStorm Definitive Edition is a game out this week that you can buy if you feel so inclined. Or you could over pay for the digital version of FIFA 15 if you like the idea of paying more for less? The Xbox Marketplace also offers CastleStorm Definitive Edition, and there’s creep’em up Slender: The Arrival too, if you like that sort of thing. All this is kind of irrelevant as Super Smash Bros is out next week! New Xbox 360 and PS3 releases show no signs of slowing, but that’s not the case for the humble Wii and it hasn’t been for quite some time. As noted in our weekly UK chart round-up, Chart-Track has struggled lately to compile complete top tens of full price Wii titles. Last week’s chart, for instance, was formed of just four games. Four. After several quiet months – with How to Train Your Dragon 2 being the only notable release – half-a-dozen new Wii releases are lined up for this winter, thus giving a reason for those still clinging onto their beloved console to cling a little longer. It’s fair to assume these games will be amongst the system’s last. 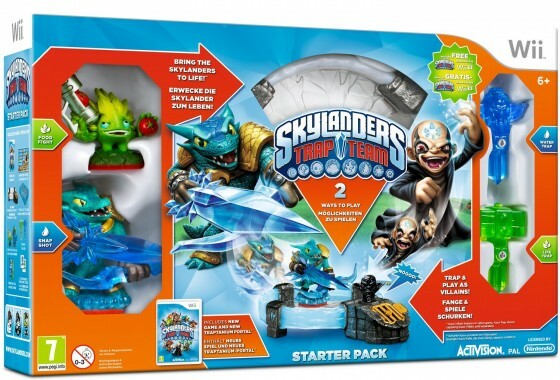 Skylanders Trap Team is the ‘big’ one. Whereas Disney Infinity 2.0 is skipping the Wii, Activison’s latest character collecting marathon is still Wii bound. Curiously, original series creators Toys for Bob are at the helm. Trap Team made the gaming news recently after it was revealed that Activison are – rather kindly – including a code in the box to download the Wii U version for free. Presumably they’re expecting the few remaining Wii gamers out there to upgrade to a Wii U this Christmas. Nintendo is no doubt hoping this is the case, too. Then there’s good old FIFA, with an emphasis on the word ‘old’ there. EA hasn’t put any real effort into the Wii versions for FIFA for a couple of years now – they have simply received kit and transfer updates, yet still shoved out at almost full price. Sadly, this has also been the case for the 3DS and PS Vita versions, not to mention the PS2 and PSP iterations before that. It’s amazing to think that FIFA 15 is coming Wii but not Wii U, isn’t it? Just like EA, Ubisoft still sees the Wii as viable – Just Dance 2015 launches 24th October alongside the versions for other consoles. With the Wii as long in the tooth as it is, we were expecting this to be a simple (read: lazy) track update and little more. However, the press release talks of features exclusive to both the Wii and Wii U versions including a new challenger mode, customizable workouts and an ‘on stage’ mode where two other players can become back-up dancers. We can’t be quite so positive about the track roster for this year though, especially when ‘The Fox’ by Ylvis is quoted as a “highlight”.